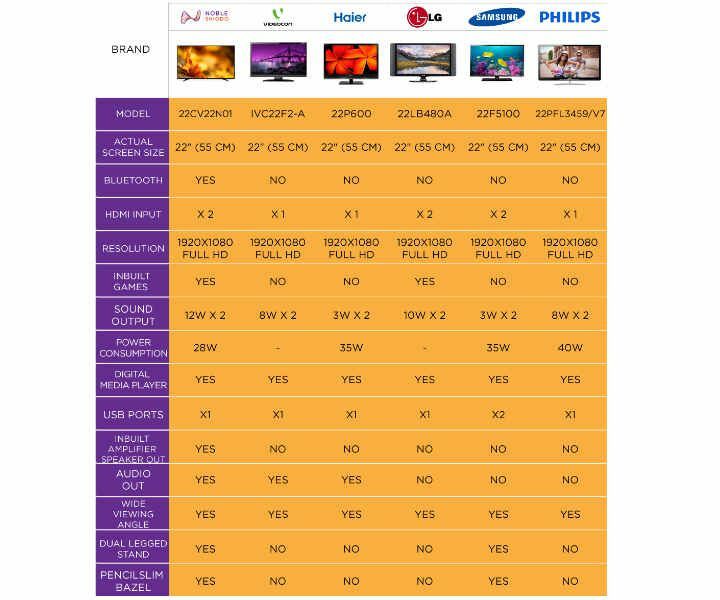 FULL HD LED @ STEAL PRICE !!! 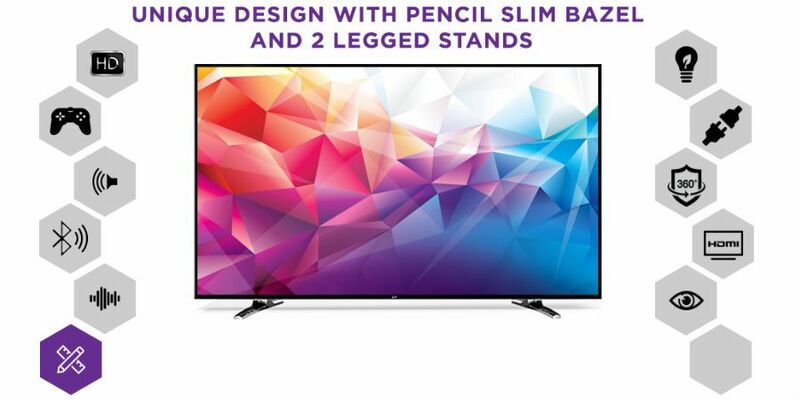 Increase the beauty of your home décor with the all new Noble 22CV22N01 LED TV which has a pencil slim bezel design. This design makes the TV look elegant and classy. It has 2 legged stands for balanced support. Also, the design gives it a look of a photo frame which makes it look even classier. 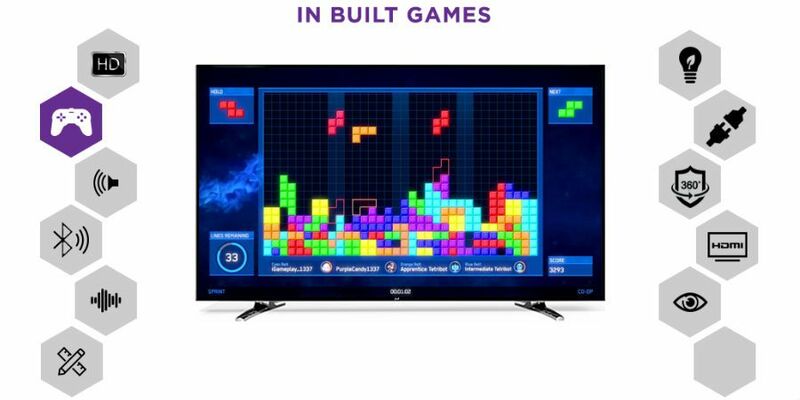 Noble LED TV has a one of its kind Bluetooth connectivity in a TV that lets you play music through your mobile phone or any Bluetooth enabled device. 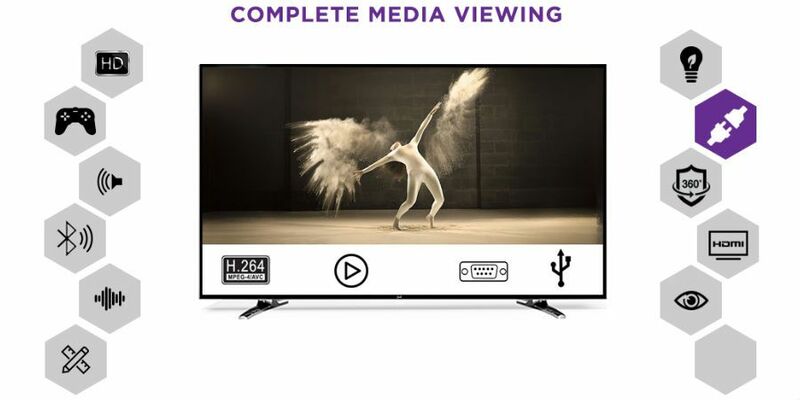 Once connected to the TV, you can easily play content directly from your device on to the big screen. Play music from your cell phone and enjoy unlimited audio entertainment. Play your preferred media content with the help of the 2 HDMI ports and 1 USB port. 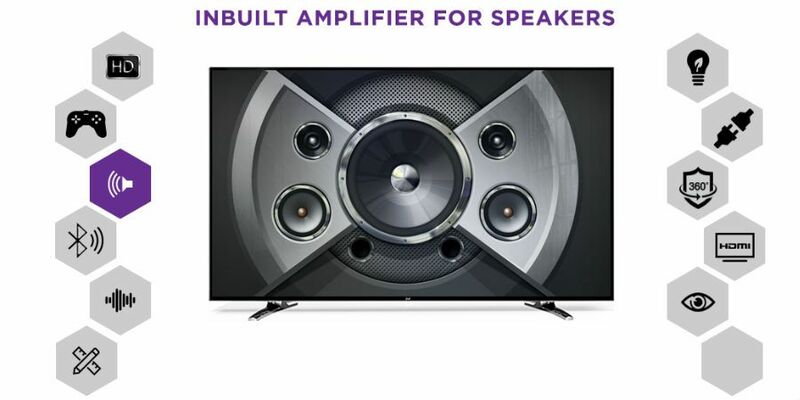 Also, you get an inbuilt amplifier for direct speaker connectivity. These inbuilt amplifiers increase the level of original sound by 5 times to produce loud and clear audio quality. Do not miss out on any dialogue by your favourite actor or lyrics of your favourite song anymore! The Noble 22CV22PBN01 LED comes with a wide viewing angle and has Dynamic Backlight Adjustment which is responsible in lowering the level of power consumption by the LED. You can adjust the backlight as per your comfort and save power usage when you reduce the backlight. This not just helps you stay eco-friendly but also saves you from paying hefty electricity bills. Noble 22CV22PBN01 LED TV has come up with a new feature of Bluetooth connectivity. It is by far the only brand which is offering such an amazing feature for greater entertainment. 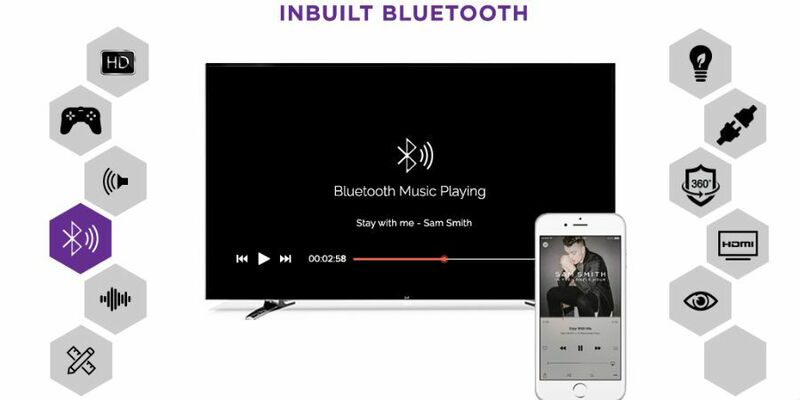 The users can now enjoy unrestricted music experience through the Bluetooth connection. Basically, it creates a bridge between the LED and the mobile device or any other transmitting Bluetooth device. The Light-emitting Diode TV then recognizes the sound and equalizes it to offer an unparalleled audio experience for the consumer. To make your entertainment more engaging and interesting, Noble uses B-Share technology. Enjoy all the music that you have shared into your phone with the help of this technology, where you can add external speakers to the LED or enjoy the 12 X 2 W speaker output of the TV. 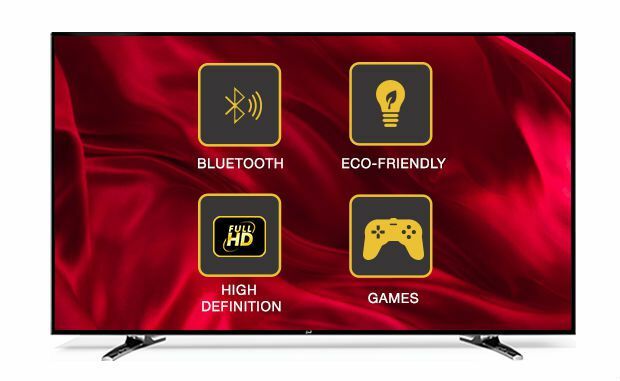 This is an all-rounder LED TV which can easily play Bluetooth shared data, USB shared data and also data shared through other devices like the computer and through HD. Noble 22CV22PBN01 has been designed keeping in mind the growing demands by the users. It has been developed with top 4 inbuilt games so that you can enjoy every bit of your purchase. This LED is going to serve you in various different manners because it comes out to be a jukebox, a video game and a TV, all at once! The games that are a part of this incredible device are among the top rated games in India. Now play and beat your own high-scores and keep running ahead with each passing day. 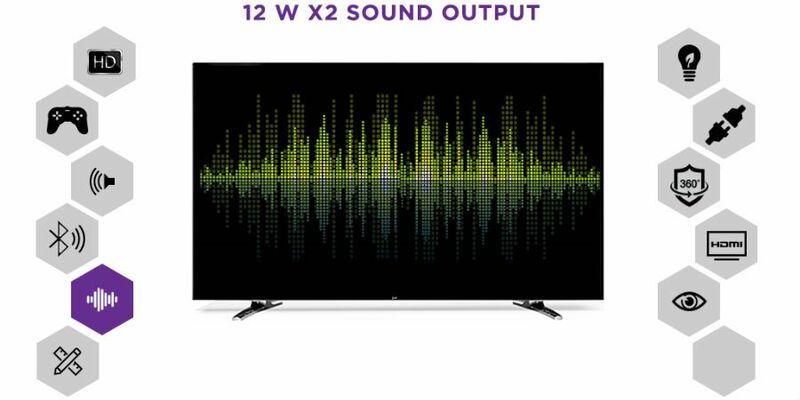 Noble 22CV22PBN01 LED TV comprises of an inbuilt amplifier for the external speakers. This transforms your TV into a multi-style player. It can play as a Jukebox, a surround system, an amplifier system or simply a music player. The addition of amplifiers increases the original sound level by 5X. Noble 22CV22PBN01 LED aims at providing you with an incredible audio performance which is crystal clear. The 12 W X 2 Sound output, offers great sound quality so that you can hear even the slenderest of sounds, easily. 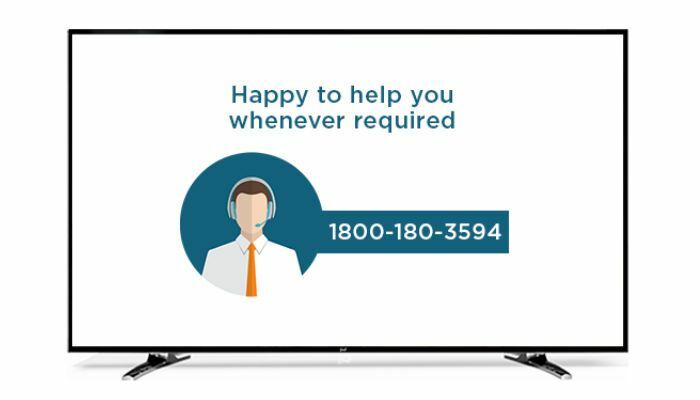 Convert your TV into a working Jukebox and have fun filled experience with your friends. Experience the perfect brightness of the contrast with Noble 22CV22PBN01 TV which only uses the best available Screen cells in the world. While delivering an image to the viewer, Noble ensures high clarity, high contrast and high brightness for the on screen media content. And therefore, it only accepts and trusts AUO screens. These screens offer better viewing experience with an outstanding performance. Witness various different designs and features which have not been seen before. For an even better production of the on screen image, Noble uses 0 dot screen. 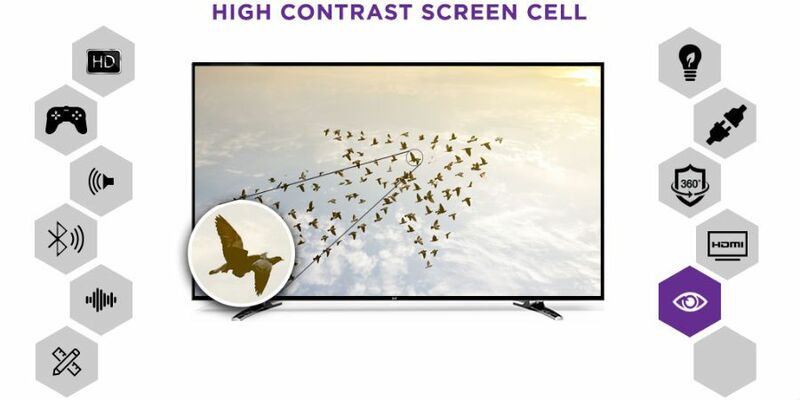 This is generally common in high quality TVs; however, Noble used the same screen in this model to deliver unmatched quality of content. 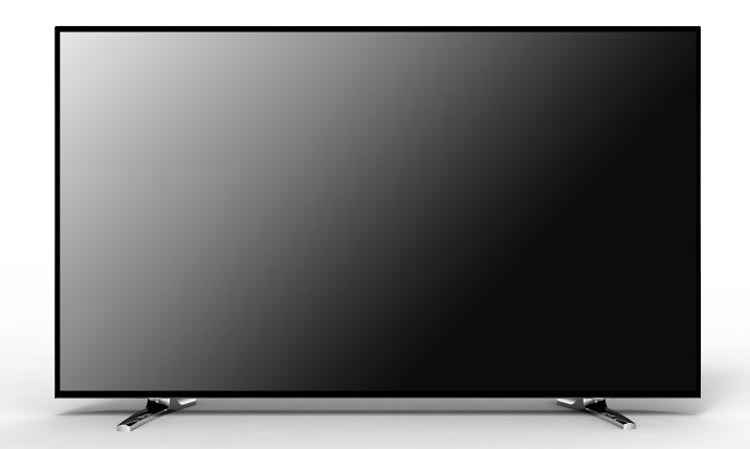 Noble 22CV22PBN01 TV has been given a very unique pencil slim bezel design. Along with which it has a 2 legged stands that gives the device an elegant and stylish look which is not easily seen anywhere. Also, this sleek and pencil slim bezel design gives the LED a look of a photo frame. Noble 22CV22PBN01 LED TV has the maximum numbers of HDMI ports that enables the LED to play content without any restrictions. 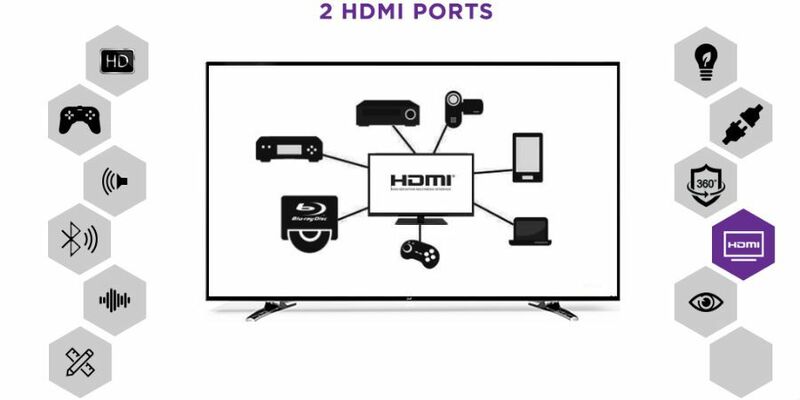 You can now connect your Set top Box and Gaming console or any other HD device with the TV because the TV supports to play both the devices at once. 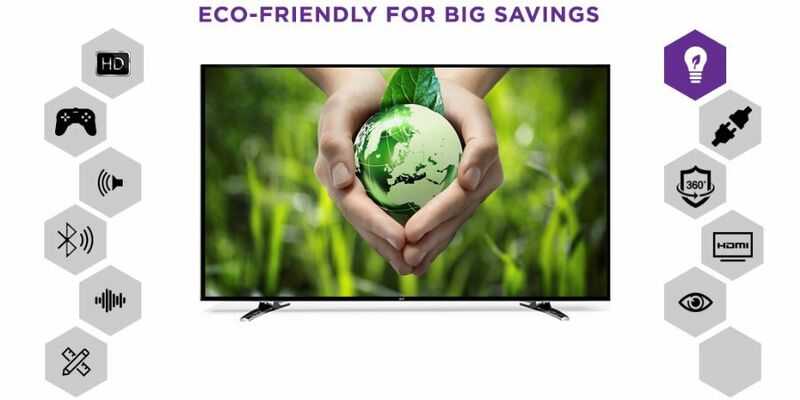 Noble is in favour of an eco-friendly environment and to keep up to this, the Noble 22CV22PBN01 LED TV has been designed with the EcoSmart feature. This feature significantly turns off the TV automatically when the TV is not in use for a certain period of time. Noble has the backlight adjustment option which helps in lowering the power consumption. You can adjust the backlight as per your convenience. Now save energy by reducing the backlight settings. Also, it saves energy by shutting off the screen while you can still play the audio at the background. Watch absolutely anything like Videos, Sounds, Texts and images in various formats. 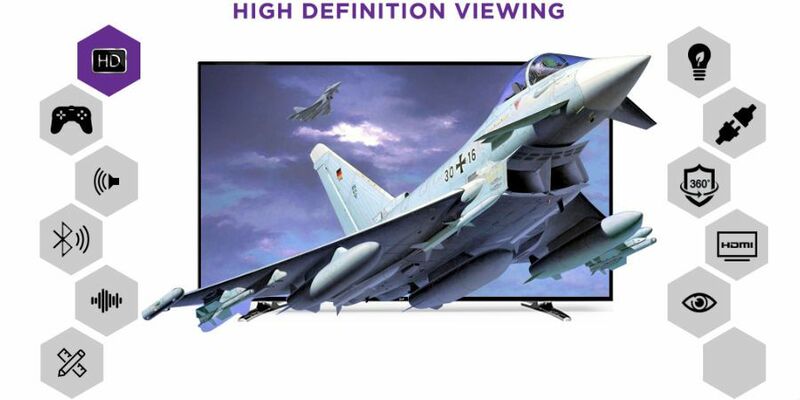 It allows you to enjoy any content through the USB port in the LED TV. Switch to the USB mode to enjoy watching High Clarity picture. Along with this, you will also get to see pictures, sound and texts. 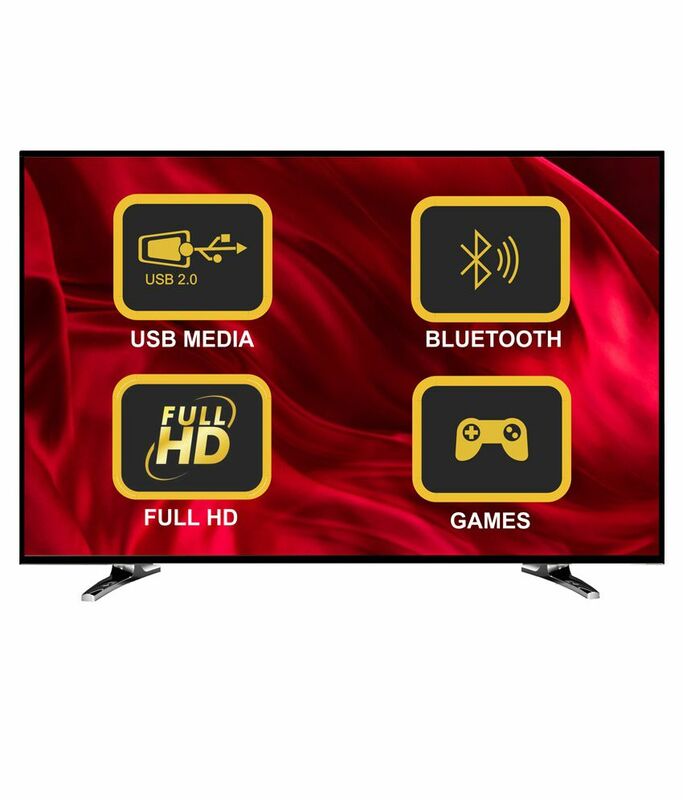 The TV has a pro-active USB mode which is responsible for making the Television a responsive set. 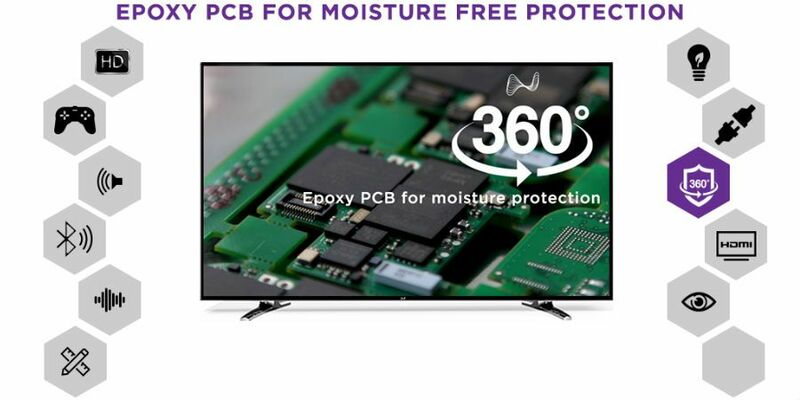 In India it has been noticed that many major cities have moisture problem; however, the Noble 22CV22PBN01 LED TV is safe from moisture breakdowns because it has Epoxy PCB with moisture free components. 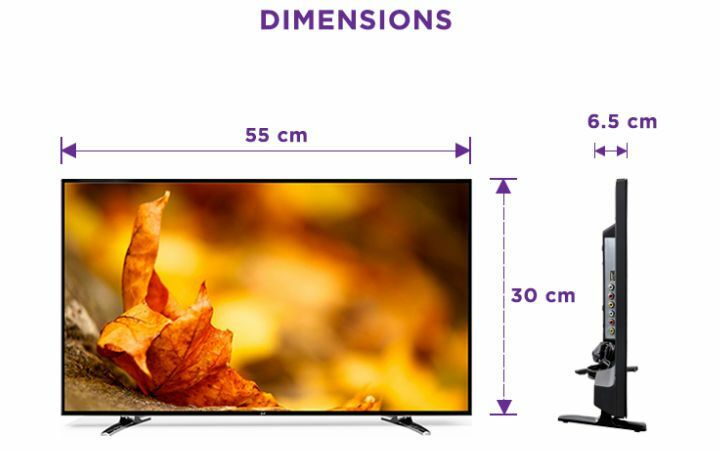 These components are capable of making the TV resistant of sudden moisture breakdowns. To be used in Noble TVs, the PCB is carefully tested and then certified from most of the worldwide labs and agencies. Who are we? What is Noble? With its exclusive technological tie-up with Skiodo Inc. from Silicon Valley, California, USA, Noble offers technological advancement with great design. The Silicon Valley Company, situated in the hub of world technology provides Noble with the power to innovate, leverage and automate. The brand provides the most sophisticated and never seen before technology products through its innovative line of products. Noble boasts affordability in its products through cost leveraging through exclusive technologies with patents in the low-cost segments that makes its products different than the market players. Purchase contracts with the manufacturing spearheads make it easier for Noble to provide its customers products at prices close to the international prices. Most importantly Noble enjoys country specific material production and assembly that provides an edge for it to leverage its cost, and to localize and customize its products. With 621 Service Engineers, 421 Service touch points, 202 Service TPs, 141 Service CRCs, 40 Service Depots and 38 Service branches, Noble has created capability of giving service to its customers within the lowest TATs in the country.